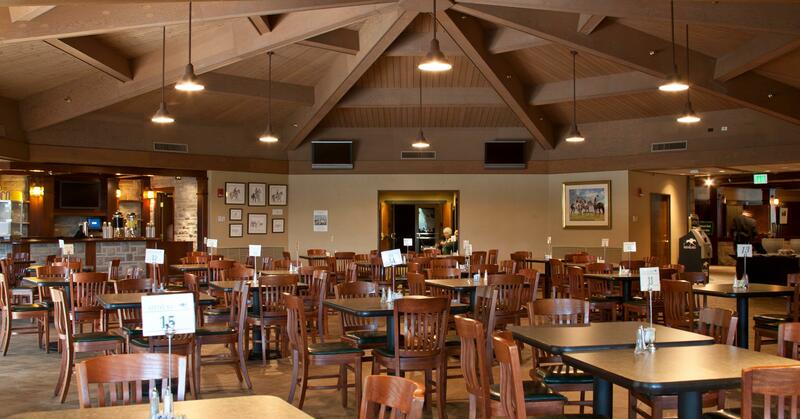 Keeneland's newest dining option, the world renowned Sales Pavilion, is located just steps away from the activity in the Paddock on Derby Day. Enjoy live music, lunch buffet, tips from Keeneland's BETologists and more as you take in the excitement of Derby Day excitement from Keeneland. Tickets include general admission and official souvenir program. Available in tables of 4 only. Tables may not be pushed together. When possible, tables will be adjacent to one another in purchasing multiple tables. Room opens at 11:00 a.m.
Buffet is available from 12:00 - 4:00 p.m.
Snacks available from 4:00 p.m. - 7:00 p.m. Guests may cancel their reservations up to 72 hours before the reservation date for a 50% refund. *Cancellations must be done by table and not by seat. *Prices and terms subject to change.